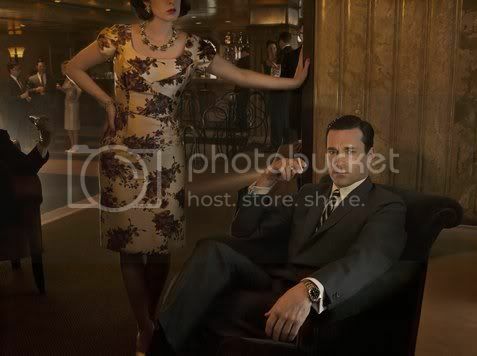 Another week, another great episode of “Mad Men.” The show has really settled into a solid groove of awesomeness over the course of the past several weeks. Not that it isn’t always pretty darned awesome, but ever since Episode 4.6, it’s been mindbogglingly good. Given the title of this blog, I feel obliged to start things off by discussing the late, great Mrs. Ida Blankenship. I’ve spent much of this season under the presumption that Bert Cooper would be the one to die in the saddle at Sterling Cooper Draper Pryce. 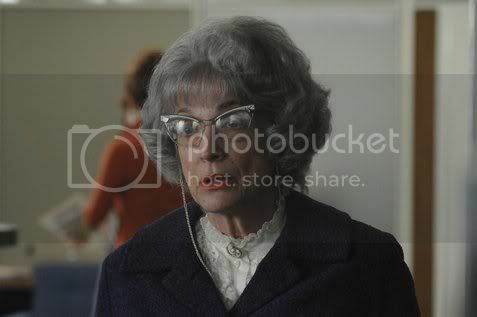 Not that I’m rooting for Robert Morse to leave the show, but it just seemed like we hadn’t been seeing a whole lot of him this year, so I thought that perhaps that Bert’s days were numbered…and maybe they still are, but I certainly never expected that Mrs. Blankenship would beat him to the punch. Of Mrs. Blankenship’s death, Roger quipped, “She died as she lived: surrounded by the people she answered phones for.” Similarly, the character departed in much the same way that she existed: as a punchline. There was some straight-up “Weekend at Bernie’s” schtick going on in the background as Don desperately tried to maintain his meeting with the gentlemen from Fillmore Auto Parts, and even though that isn’t necessarily the sort of thing that I expect when I tune in to “Mad Men,” it doesn’t mean that I didn’t enjoy it. If I laugh harder at a Don Draper line this season than “I’d have my secretary do it, but she’s dead,” I’ll be very surprised. Still, Mrs. Blankenship’s demise did also lead to a sad, sweet moment from Bert, when he poetically described her as “an astronaut,” and it served to remind Roger of his mortality, which ultimately found him living life to the fullest…but we’ll get to that. Oh, come on: that line was screaming to be the title. When we first see Don this week, he’s going for a swim…and, by the sound of it, he’s also going to be coughing up a lung in the near future. Surely someone in the firm is going to be developing lung cancer from their constant smoking, but I always thought Don’s liver would fail him first. Maybe I’m wrong…? Time will tell. We also hear him in voiceover as he bears his soul into a journal. I don’t know if he’s been inspired by Roger’s excruciatingly awful ramblings for his memoirs or if the loss of Anna has caused him to realize that someone someday should be able to know the real Don Draper, but whatever the case, these are some seriously deep thoughts that we hear over the course of the episode. Nice use of the Rolling Stones’ “Satisfaction,” by the way, especially having the line about “the same cigarettes as me” roll off Mick’s lips just as Don’s preparing to put a cigarette to his. 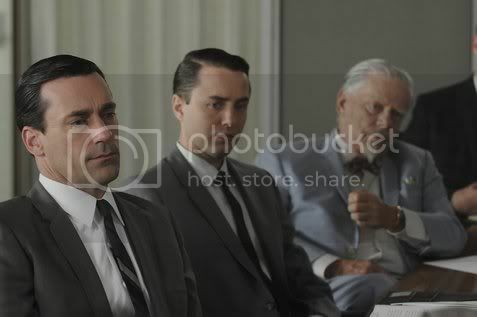 Yes, it’s definitely still a man’s man’s man’s world at Sterling Cooper Draper & Pryce, as evidenced by the treatment Joan has to put up with from the jackasses in the office…emphasis on “asses,” if you were watching closely during the discussion she was having with Peggy. Speaking of which, I thought that was a particularly nasty jab about how she could do with taking a few extra steps, but we soon realize that it isn’t (entirely) the goings-on at the office that have gotten her riled up but, rather, the fact that her husband is preparing to head to basic training. Given Don’s subsequent viewing of Vietnam footage on the telly and Joan pointedly referencing it in her later verbal attack on the guys (“Remember, you’re not dying for me, because I never liked you”), it’s hard to conceive of a scenario where she doesn’t end up as a widow in short order. When Don began to space out during his meeting with the team, I thought for one moment that he was looking at Peggy in a different light after last week’s episode…but, no, it was much more likely the effects of the alcohol. That, or the simple fact that his mind just isn’t on his work the way it once was. Either there’s too much going on in his personal life or there’s not enough of what he wants there to be in it, but either way, this is not a happy camper that we see before us. An attempt to drown his sorrows in an evening with Bethany might possibly have worked, but however he might’ve anticipating things going, things changed at the precise moment that Betty and Henry stopped by their table.